Just about 6 inches of the fluffiest, prettiest powder you've ever seen. Then a high of 35, a sparkling sun, a bright blue sky... winter days just don't get any better than that. That's not even the best one! Some have us at closer to 2 feet. 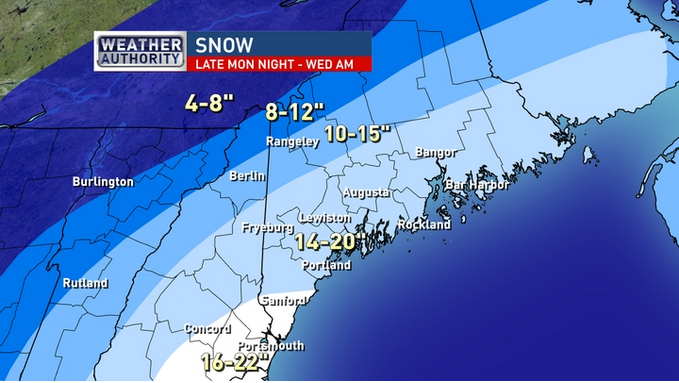 On top of that, we're expecting blizzard winds and whiteout conditions. I'm gonna go ahead and assume there's no school on Tuesday, possibly Wednesday too. I'll definitely keep you posted! Well, it's 2015 and it's COLD!